Search Engine Optimization is the best thing for your site to get noticed on the internet. It is the tool most internet marketers use to get the visibility they need to make profits online. This is why you need traffic. Having visitors come to your site and check out what you have to offer can make all the difference in the world. The Best Thing For Marketing? As an Internet and network marketer, you must utilize these search engine optimization tips to ensure that your content and website promotion reaches search engines like Google and Yahoo. Having a better understanding of how search engines work will get your articles, blog, website, and videos to rank higher on Google. First and foremost, be concerned about keywords. Google will rank a website based on keywords. If they see a site that has the keyword “lose weight for good” throughout the content on the site, Google will then put that website on the search engines for that specific keyword. This way, people who are searching for information on that topic will be able to find what they need. If you have keywords all throughout your site, you will still need off-page optimization with back links to get the high rankings. Back links will get your site noticed and bring in lots of traffic which is what you want. The popularity of your site is crucial to the internet and your business. Having other websites linking back to your site is huge. Websites that are strong with authority will have Google in the palm of their hands. In order for you to gain this popularity, you have to have links on other sites to link back to your site. If you publish an article or guest post on another blog, leave your URL at the end or in the reference box. You can even do this when you make comments in places like forums, blog posts, and videos,. There are many ways you can do this on different websites. Making sure your page is optimized for search engines is a good idea. You do not want to leave this on-page optimization out. This is when you include your web page title, meta description, and meta keywords. Make sure these are targeted keywords or key phrases. Competition amongst online businesses are fierce. In order to stay ahead of the game you must learn how to stay ahead of your competitors. Learning search engine optimization tips can help determine the success or failure of you getting noticed online. Competition is the one thing all businesses have in common…..
Competition is the one thing all businesses have in common despite the industry you’re in. Online businesses are notorious for having a few to hundreds of competitors fighting for that number one spot. Your online business is no exception. Competition is the name of the game. If you want to be number one, you have to know what it takes to compete successfully. The goal is to create a win win situation for you and your customers. Some online business owners do not understand how important search engine optimization is to their business. The first thing you need to figure out is who your competitors are. Truthfully, You should know your competition more than anything else. There are tons of ways you can do your research on this. 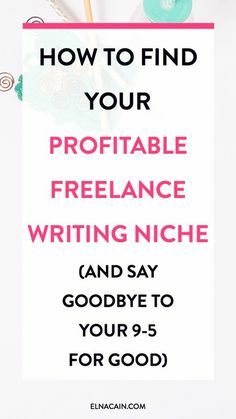 One thing you need to do is visit other websites in your niche. Search for sites that are similar to yours. They may have similar products, services, content, etc. Just visit them and see who is ranking on the first page of search engines. Then you need to find out how they made it to the top. You can go to just about any site to view the page source and look at the meta keywords. These keywords are what you should be paying close attention to because they are influencing search engine ranking. You can also use Google’s keyword tool to find out which keywords are high competition compared to low competition. After your research is completed, you are ready to start improving your own site. Get creative and produce valuable content. Think outside the box so that you stand out. Use keywords that are not too high in competition but effective. Your focus is to be different and grow. Doing this regularly will keep you ahead of the game. As you continue the process, you will continue to grow. Consistency is a must to get to the top. It’s also a good idea to network with others in your niche. See which methods they are using and come up with some of your own. Being innovative will get you that much further. Keep trying until you discover what works and what does not. Try a couple of different marketing strategies, master them, and then incorporate a couple more. Doing too many things at once will have you drained and confused. Finally, decide what is effective for your business while keeping a close eye on your competition. Don’t forget, the objective is to stay in the forefront. The success of your business depends on it. Cheryl J. Moses is the founder of OnlineMarketingROI, New Eminence, and Female Empowered Entrepreneurs Living; a community designed for women who desire to live more, want more, and be more. Join us at https://www.facebook.com/groups/feelcom.